Sensational. Magnificent. Sumptuous. (Should read like the excerpt review blurbs on a blockbuster. ) Astonishingly over-the-top brilliant. 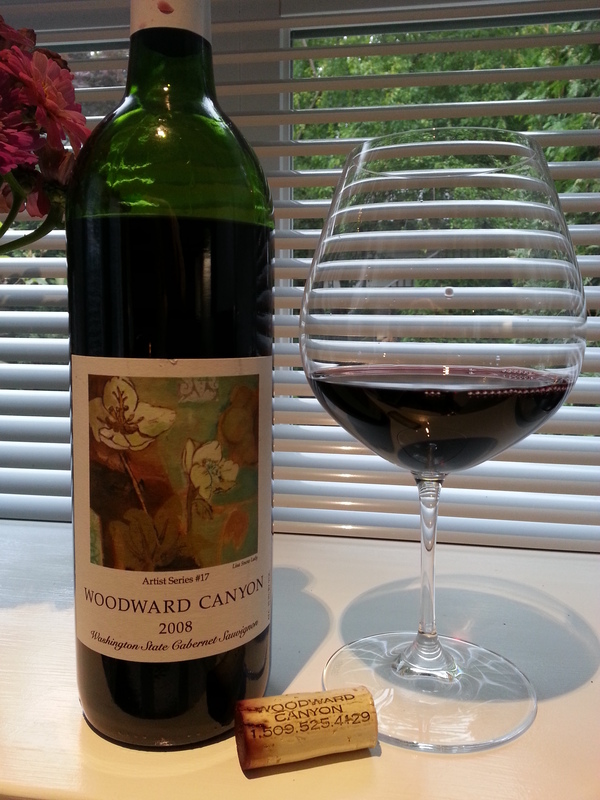 Hands down the best American Cab Sauv I’ve ever had. Seriously. You would think California would dominate but in fact this is so refined, approachable, nuanced and even delicate as to wow the most jaded of connoisseurs. Forget what the WA or WS wrote, just source a bottle and get on with it. With apologies to Kool and the Gang, this is a party going on right here. Found lying all by its lonesome in the cellar, neglected! I think it came one Christmas. Surreptitiously drank it only to time it as this blog’s 200th post. What a celebration. Market Liquidity: On the path to Nirvana. From the cellar: Wow. As in where has this bottle been hiding? 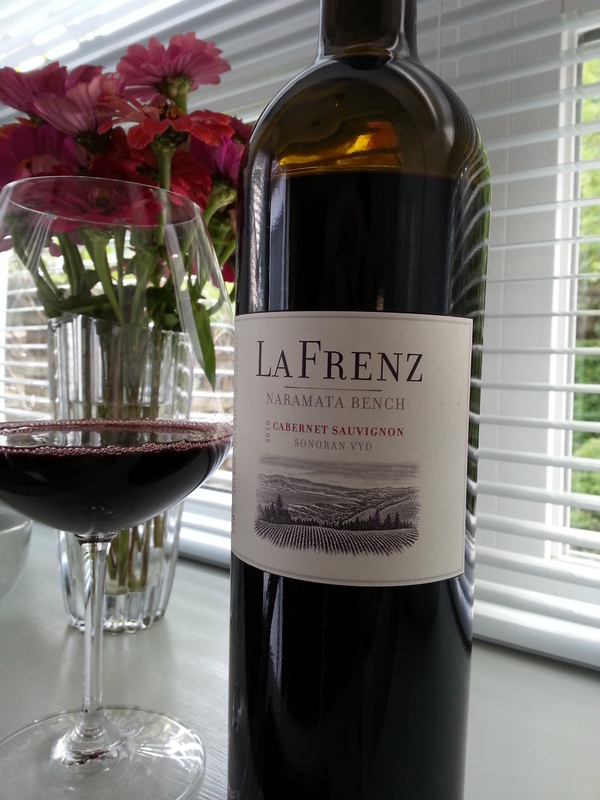 Came from a vineyard order some time back and got lost in “the cellar.” A minefield of wonder: Licorice, leather, mace, blackberry, a beautiful finish. Scintillating on the palate. Still has shelf life, but alas it was our last bottle. Gorgeously food friendly. Maybe you’ll spot it on a wine list? La Frenz can be uneven but there was nothing but balance here. Watch out Washington! Trumped the Australian Marquis Philips we had a week ago. Price: Twenty something; didn’t keep a record. Market Liquidity: Jump up and down good. Wine with balls. Will stand up to a Spanish chorizo, arugula salad, smoky paprika, olive and feta and pretty much any striking flavour you throw at it. Hefty, pungent, sharp, a slight sting; but a little too hefty and pungent and sharp. That said, it’s not as food friendly as, say the Tarima, reviewed here a few weeks ago. The MP lacks subtlety and finesse. 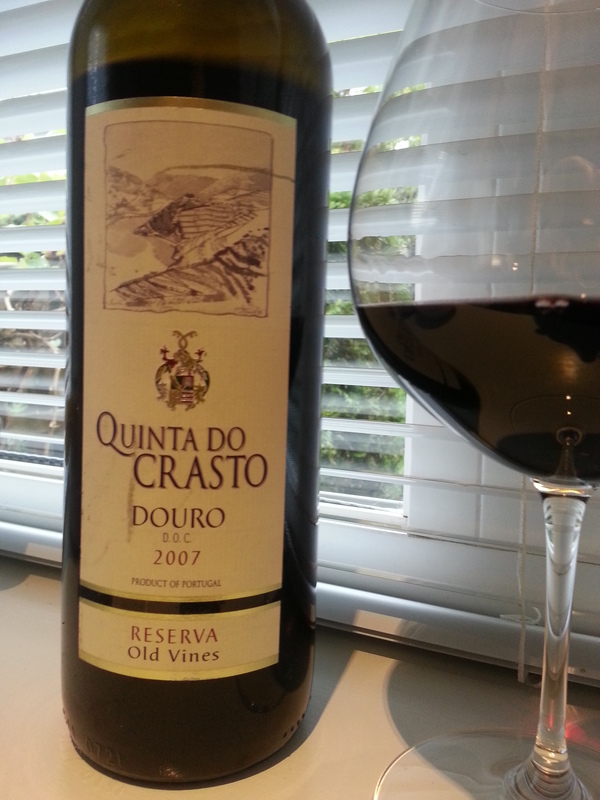 But the rich berry-smoke-leather tannic notes make this an easy BBQ quaffer. 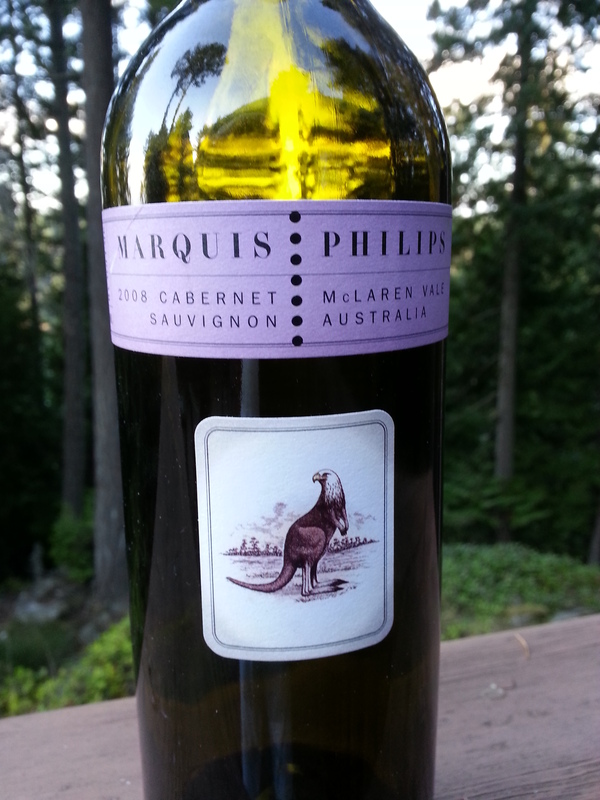 You would think, in 2013, that an 08 Cab Sauv would be at its prime but our bottle read a little stiff, not luscious. Easy to source at government and private stores. Kudos to the screw cap. A little top heavy in alcoholic volume. Price: $22.99 at Everything Wine. Market Liquidity: Did the job but clocked out early. Light as angel food cake, a hint of effervescence, sweetness on the tongue but not sugary sweet, lychees, nectarine and tangerine (and maybe 10 more “ines”…). Soft, round, delectable, artistic—but certainly not martial! 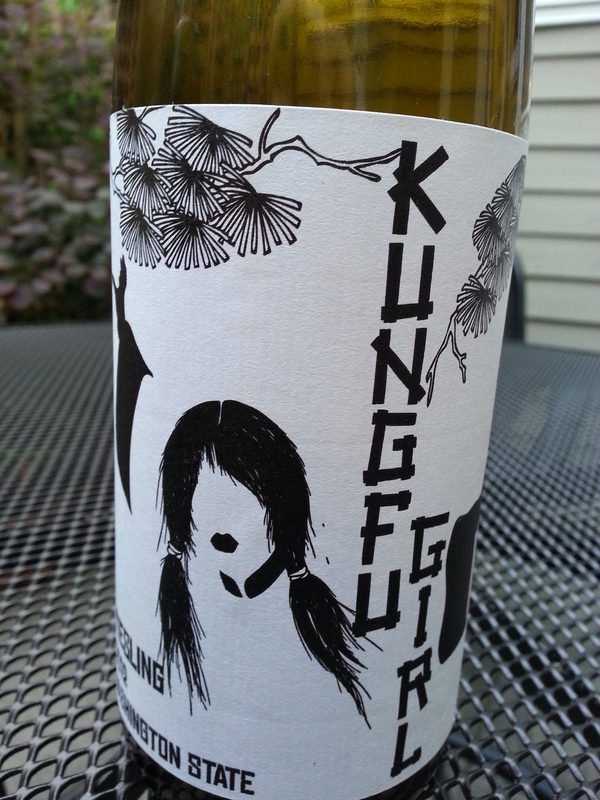 A very silly name and inane label for a wonderfully classic style Riesling that paired beautifully with South Asian cuisine. Market Liquidity: Don’t put up a fight.